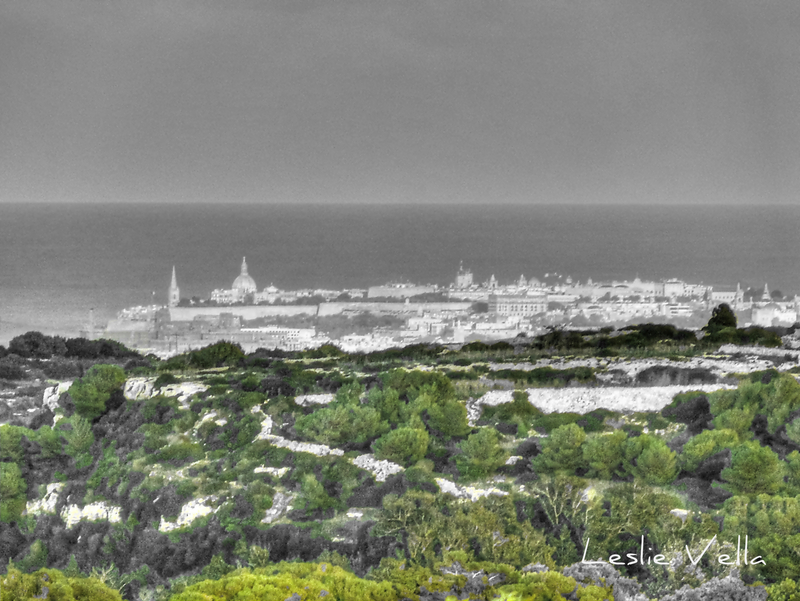 Valletta and Buskett, City and Forest. Fifteen kilometres distant from each other but beautifully framed in a single photo taken from the heights of Dingli Cliffs. A photo showing a scene which is not possible when using one’s eyes alone, but which is squeezed in due to the effect of the zoom lens which flattens distances and narrows angles of vision. The City and the Forest. Their common origin not immediately apparent, but common it indeed is. For they both date back to the first few decades of the Knights of St. John in Malta in the sixteenth century. The Knights were offered Malta and the desolate North African fortress town of Tripoli by the Holy Roman Emperor Charles the Fifth as an alternative home following their eviction from Rhodes by the Ottoman Sultan Suleiman the Magnificent. The Knights missed Rhodes badly: their beautiful island home, lush and verdant, green and bountiful. And complete with a fortified harbour town. In Malta they found nothing of the sort. An inland capital which was of no use to their naval needs, a coastal village with a decrepit medieval hold as their maritime base and a windswept, treeless landscape which made them yearn with nostalgia for their previous home in Rhodes. The coastal city they needed as a maritime base, the woodland they needed to indulge in their pastime of hunting. But their initial dislike and disappointment eventually gave way to action. Knowing full well that a return to Rhodes was well nigh impossible they set about modifying their new island home. Where there was no maritime city, they built one from scratch and turned it into one of the most famous of the period. Where there were no defences they spared no expense and built one of the most impregnable and impressive systems of defence worldwide. And where there was no forest they also created one: the Boschetto, or small wood, the Maltese word for which was to eventually become corrupted to Buskett. A wood of pine, oak, cypress, poplar, olive and carob, surrounded by citrus groves. An artificial creation which has today matured to the extent that it has acquired the powers of self-regeneration, meaning that it is slowly freeing itself from its original artificial creators. Two man-made creations which add two special dimensions to Malta: a sophisticated capital city and a mature woodland. Two phenomena where you least expect them. Courtesy of the hard work of a group of reluctant guests whose nostalgia for their previous home led them to create the inconceivable. 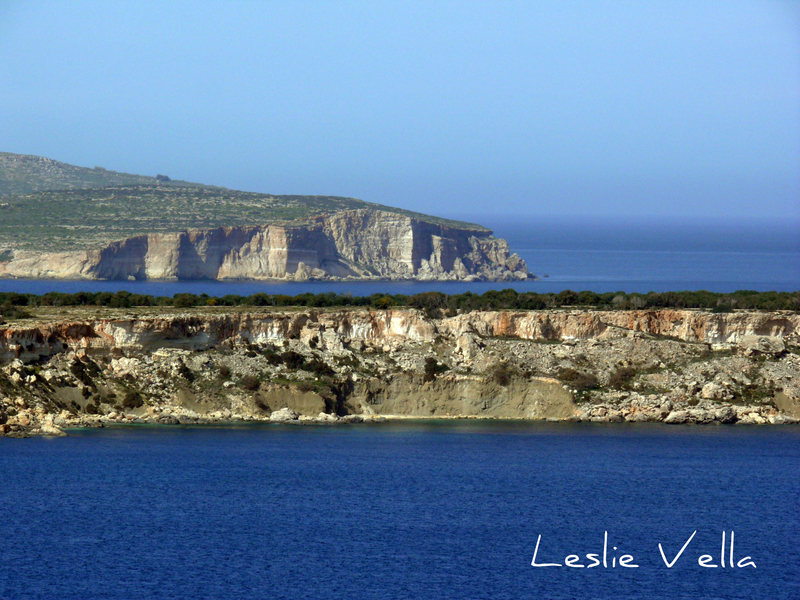 Filfla: one of the smallest and the remotest of the islands in the Maltese archipelago. An uninhabited limestone outcrop the area of two football pitches. Uninhabited by man but home to thousands of pairs of seabirds who find peace and quiet in a spot which is devoid of mankind’s disturbing activity. Inaccessible due to its fragmented topography and out of bounds due to its scientific significance; a place where only those bearing a special permit can alight. I sailed close by last summer. Without landing but close enough to see the detail. Experiencing an optical illusion whereby the island actually seems larger from the distance but amazingly small once approached. Fragmented and fragmenting due to its past history of bombardment and the merciless pounding of the sea from whose depths it emerges. I fear that one day it will just vanish in the wake of a huge storm. 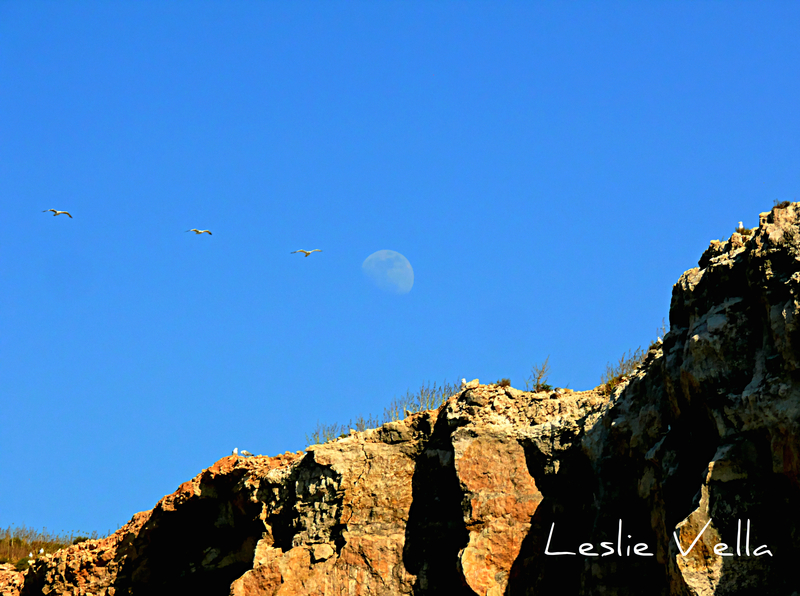 As we sailed round the islet’s north-western shore, I captured a still moment with my camera. 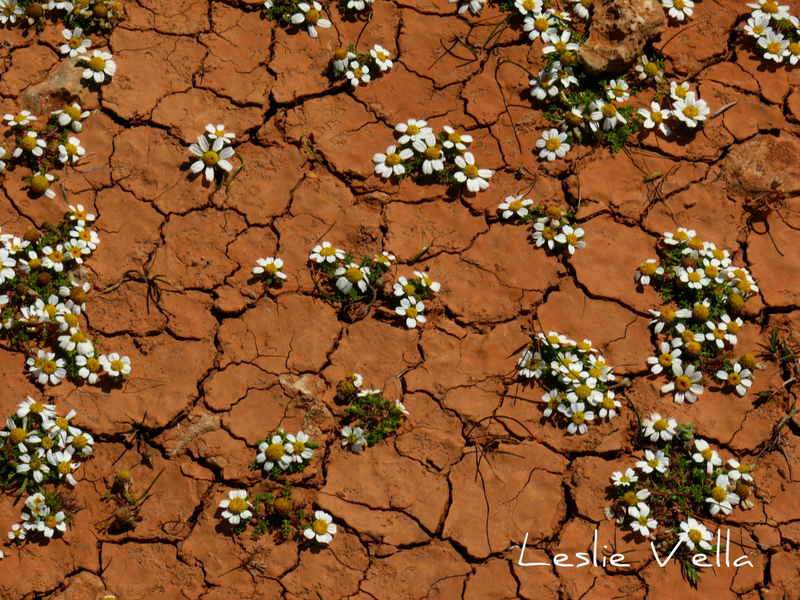 The flat plateau of Filfla’s peak with its profusion of hardy plants. The numerous seabirds, flying or perched on the rock’s edge, testament to their home’s importance as a roost of international significance. And a rising lunar disc, faint against the late afternoon sky but clear enough to show the contrasting features on our satellite’s barren surface. 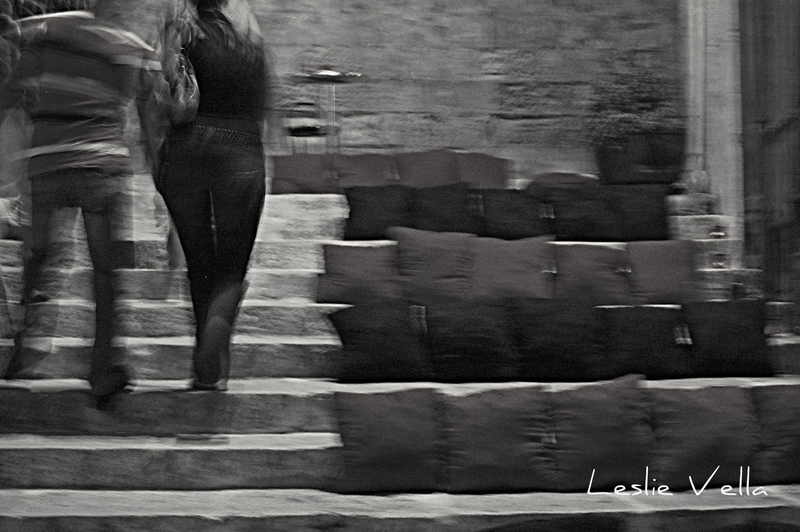 A special moment which merits today’s posting in my Malta Photoblog. The lovingly and painstakingly restored Valletta Saluting Battery in the lower part of Valletta’s Upper Barrakka Gardens. 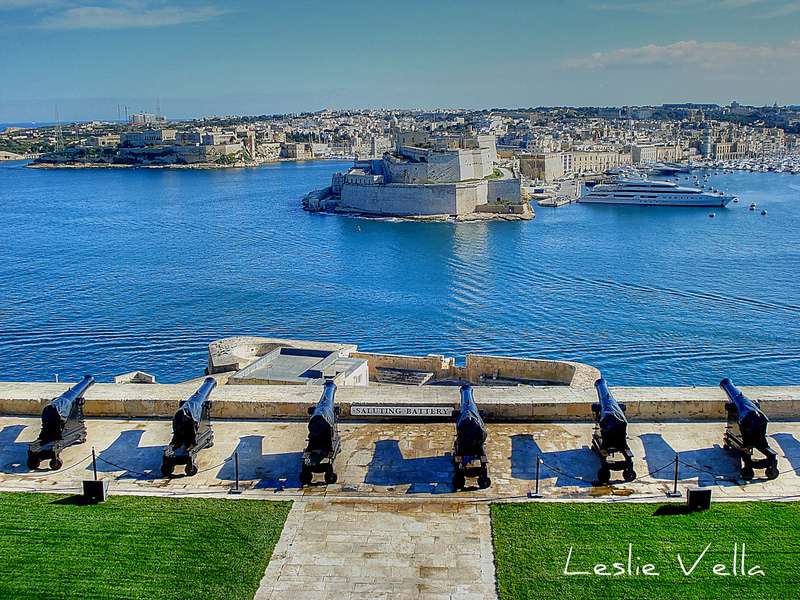 Period guns dating to the nineteenth century British period facing the impregnable Fort St. Angelo and the Three Cities across the Grand Harbour. 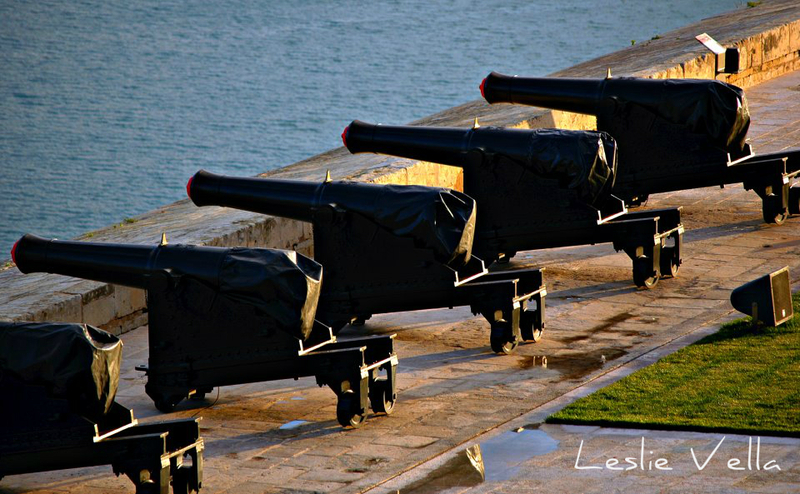 The guns sit atop an elevated part of Valletta’s harbour-facing battlements and the location has served as a gun battery for almost half a millennium making it probably one of the oldest such locations still in operational existence. Besides their defensive role, the guns in the saluting battery also used to perform a number of ceremonial roles marking anniversaries and feasts and also extending greetings to visiting vessels. Since the 1820s the battery has also been used as a time-synchronising device with its daily firing of the noon-day gun which was especially useful to commanders of vessels withing hearing range of the gun to synchronise their clocks and watches. This was not done for some frivolous reason, but for navigation purposes given that satellite tracking and gps devices were not even the stuff of dreams back then. At that time mariners used to estimate their location by taking readings of the sun’s altitude using devices such as sextants and for the navigation to be precise the readings had to take place at precise hourly times: thus the importance of properly synchronised timepieces. The practice of firing the noon-day gun was re-introduced a few years ago by heritage NGO Fondazzjoni Wirt Artna (http://www.wirtartna.org/) with the support of European Union funding and sponsorships from the Malta Tourism Authority and the Bank of Valletta, and is now carried out daily to coincide with midday. (http://www.salutingbattery.com/) Visiting cruise ships also occasionally commission six-gun salutes for the experience and entertainment of their clients. The beautiful historic Grand Harbour, surrounded by the walled towns crowding around its perimeter appears calm and radiant in this picture taken during a sunny January day. The contrast between the blue sea and sky and the pale limestone buildings is very pleasant while the patch of lawn behind the cannon gives the scene a distinct British feel. The yachts and superyachts berthed off the Vittoriosa shore are the contemporary replacements to the warships which crowded the harbour until the departure of the Royal Navy in 1979. As to the concept of a saluting battery: although protocol and etiquette ensured that this defensive feature evolved into an activity which was mostly ceremonial in nature, its origins were apparently more practical. Based on humanity’s inherent distrust in strangers, the concept of the salute evolved from the need by both host fortress and visiting vessel to send out a clear signal that no aggressive behaviour is being contemplated. What better way to do that than to fire off and empty your entire battery before your host/guest comes within range?! Valletta’s Notte Bianca. An annual event held towards the end of September. A special event when the city comes to life at night. A welcome and popular shot of urban regeneration for a town that had lost its will to remain alive after dark. Open doors, shops, concerts, theatre, displays, food and more food. A crowd magnet showcasing a great city in its nocturnal magnificence. 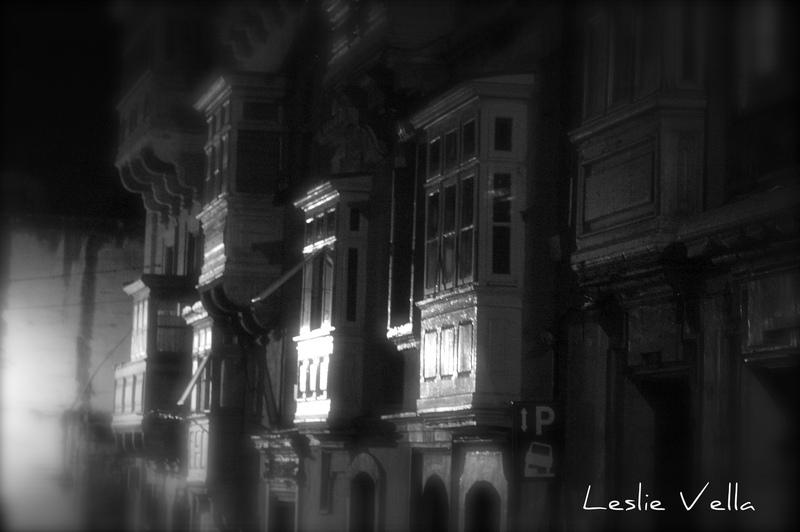 A photographic negative of day to day routine where life in the daylight flips to its night-time equivalent. I always make it a point to visit. Crossing Marsamxett Harbour by ferry and winding my way up through the side streets. And avoiding the crowds. Enjoying the event’s periphery. An invitingly-open chapel with no one inside; the still waters of Grand Harbour; a deserted lower St. Paul’s Street; climbing the steps from East Street to St. Ursula Street. A private viewing rather than drifting with the masses. And an occasion to take some great photos of a unique city lit up for a special night. Not necessarily a country famed for its trees, Malta does in fact feature quite a decent spread of Mediterranean tree species. These species range from common ones such as the carob, the olive, the cypress and the Aleppo pine to scarcer ones such as the myrtle, the poplar, the holm oak and the gum sandarac: the sigra tal-gharghar. With the exception of the gharghar, all the other indigenous trees mentioned above enjoy a region-wide spread across the entire Mediterranean. What makes the gharghar special in our case, is that in the wild, this tree is confined to the western part of North Africa (Tunisia, Algeria, Morocco), with its only presence in Europe limited to the island of Malta and a hilly region near Cartagena in Spain. This makes this tree a very special one, not only because of its rarity, but also because we happen to possess one of the only two outlying populations of the species in Europe. Within the European context, this status makes it a really “Maltese” tree which we need to be proud of and protect. Official recognition of the tree’s significance dates back to 1992 when it was declared Malta’s national tree, subsequently also gaining legal protection in 1993. This means that all examples of the tree are protected by law, and cannot be destroyed or removed. In the twenty years since the tree acquired the distinguished status of Malta’s national tree, much has happened, both in terms of awareness and in terms of propagation. Way back then, the tree was known but to a mere handful of individuals, and most of us living on or visiting these islands would not even have had the slightest inkling of its importance and existence. Only twenty years ago, Malta possessed only a handful of these trees in the wild, in relatively inaccessible areas in Qrendi, Mellieha and Mosta. 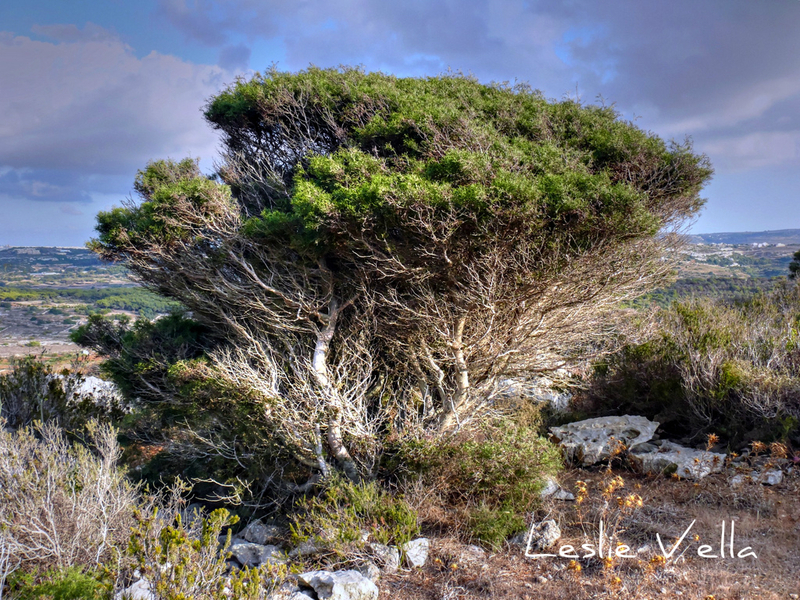 The tree is not found in the wild on the islands of Gozo and Comino. Such was the scarcity of the tree that it was in serious danger of becoming extinct once and for all, meaning that one of the two European populations would have been gone forever. Al Himyari also goes on to claim that, under Arab rule, the Maltese islands were left deserted for a number of decades, with the only visitors being seafarers who came to collect the excellent and abundant wild honey, the excellent fishing in Maltese waters and to cut down the islands’ trees which provided good quality timber for shipbuilding. The sad state of affairs prevailing until the early 1990s started to be reversed once the tree was elevated to become Malta’s national tree, and since then, a vigorous regeneration programme has ensued. This has led to the tree being propagated in reasonably large quantities in various localities ranging from afforestation initiatives to public gardens, parks and schools. 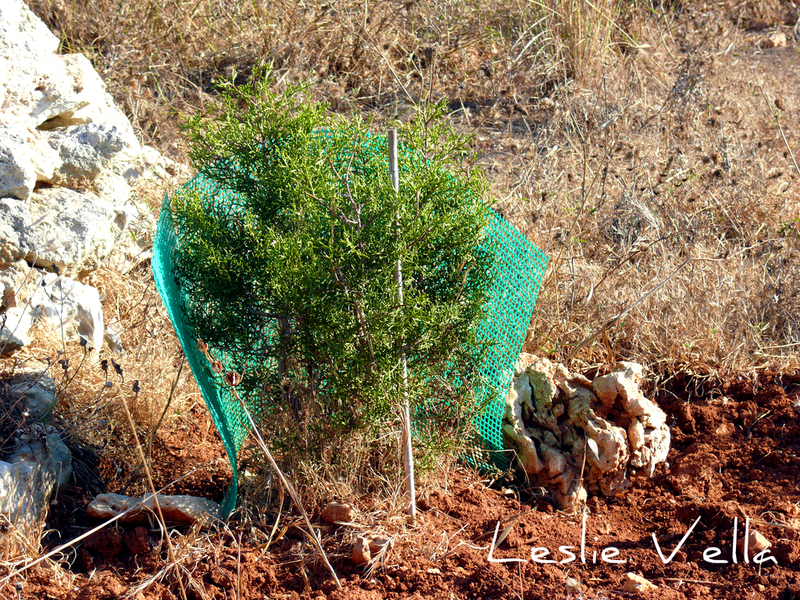 All of these new trees originate from seed stock collected from the wild trees and lovingly planted, grown and nursed by dedicated individuals, mostly volunteers who donate the sturdy seedlings to the authorities and the environmental NGOs for eventual planting in selected areas. This means that it is now far easier to be able to experience and enjoy this tree in a number of places, although, regrettably, it will be a number of years until the newly planted ones reach maturity, thus displaying their full glory. For those who are impatient and do not want to wait for this to happen, they can either visit il-Maqluba in Qrendi where there is one of the tallest examples of the tree to be found in the wild, or alternatively see the one planted in San Anton Gardens in Attard next the big swan and duck pond in the middle of the garden. By way of description, the gharghar tree, which is known in English either as the gum sandarac or the araar tree is an evergreen coniferous (cone producing) tree related to the cypress family. It is one of only a small number of conifer trees capable of re-growing by sprouting again from tree stumps. This unique adaptation helps it to survive fires and moderate grazing by animals such as goats and sheep. 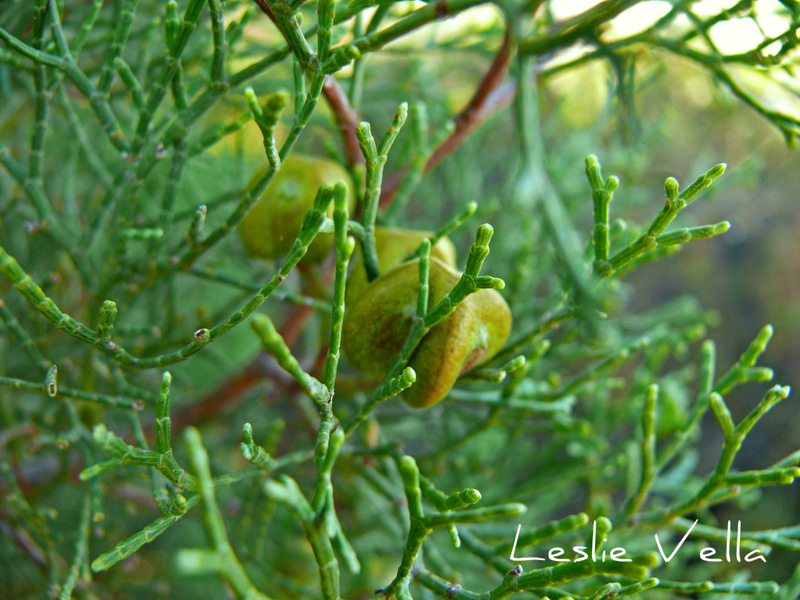 Its scientific name is Tetraclinis articulata. I have had the positive experience of visiting the few places where the last remaining pockets of original gharghar trees still exist in the wild. The trees are not impressive in terms of size or extent. However, they do bestow a sense of serenity and a link with the distant past, when they featured more prominently in the Maltese landscape. I am definitely no tree-hugger, but have to confess that being near them gave me the very warm glow of being in the presence of something old and wise and mysterious. Islands in an archipelago. Siblings not clones. So near and yet so far away, separated by narrow but deep channels of seawater. Neat parallel lines. Sky, land, sea, land, sea. Like layers, almost too neat to be true. Land born in the sea, raised above the sea and embraced by the sea. 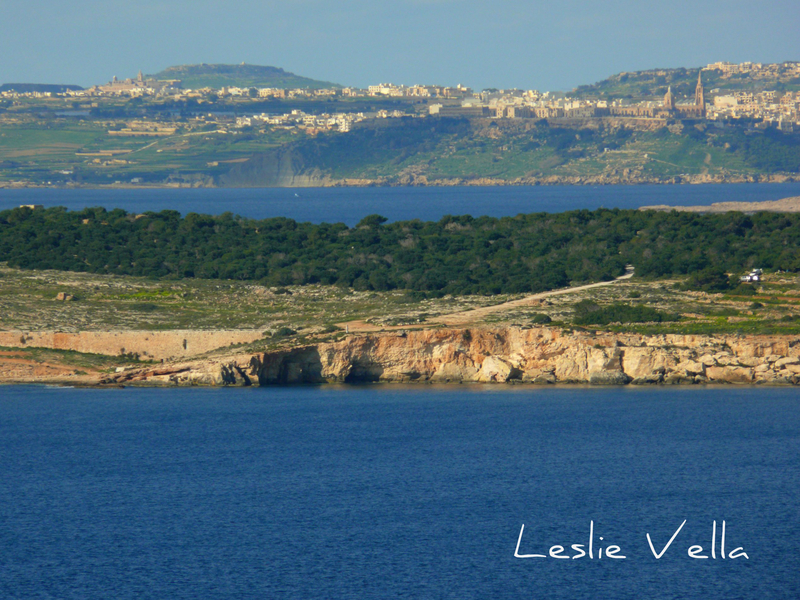 In the first picture, the island of Gozo in the distance. The gothic-style church at Ghajnsielem and the barely discernible ramparts of Fort Chambray on the right, the fortified Citadel and town of Victoria on the left. Twenty minutes sailing north of Malta and yet a world away. 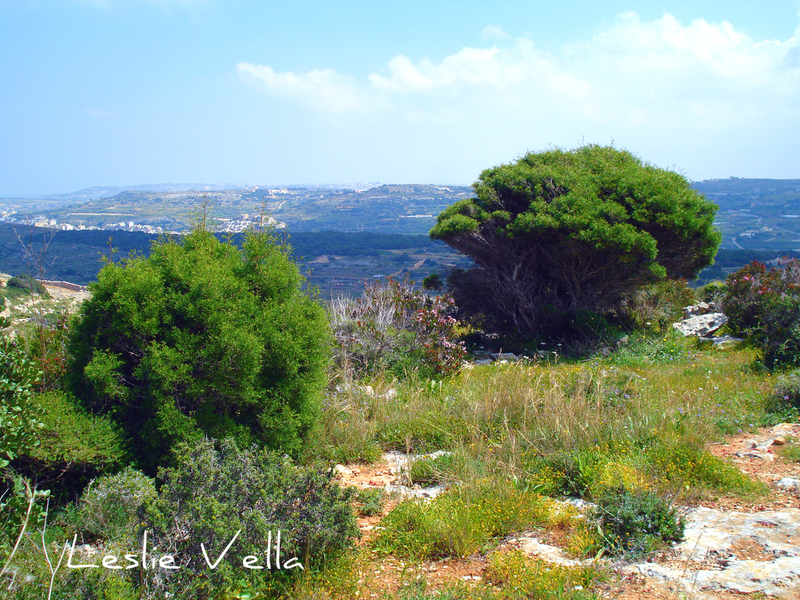 In the foreground the tree-covered Ahrax tal-Mellieha peninsula, on mainland Malta. Rising 70 metres above sea level. Almost an island in its own right but for a narrow strip of land which attaches it to the mainland. Apart from the trees and the cliffs, the ubiquitous presence of military architecture as evidenced by the low defensive wall, a redoubt aimed at harassing attempts to land by enemy shipping. In the second photo, another stretch of the Ahrax peninsula on Malta: tough upper coralline limestone sitting on top of a softer and older clay deposit. Slowly crumbling, boulder by boulder into the blue sea. The thin layer of trees whose deep roots seek moisture retained by the waterproof clay below. And in the background, the Ta’ Proxxa Cliffs on the tiny island of Comino, also perfectly parallel. Not by accident but by design. The result of past geological faulting creating a series of ridges and valleys, horsts and grabens as the geographers would call them. Only in this case the valleys are under water while the ridges survive as dry land, the tips of submerged heights which once stood prouder and taller before the waters rose. Beautiful vistas and interesting geography rolled in one.